COLUMBIA SPY: The bricks are in! 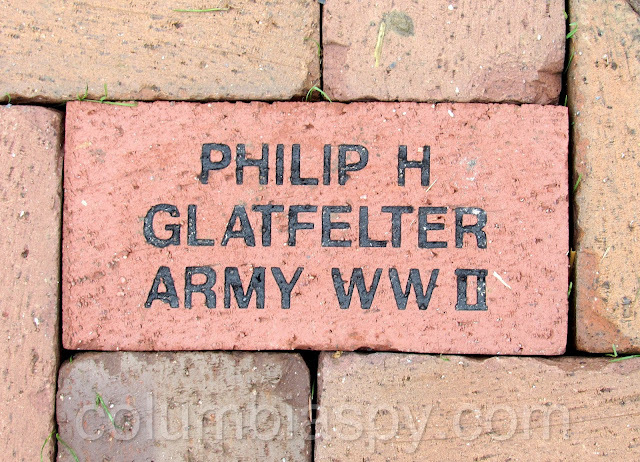 The first of the engraved bricks honoring military personnel were installed today at the Veterans Memorial Bridge Plaza. 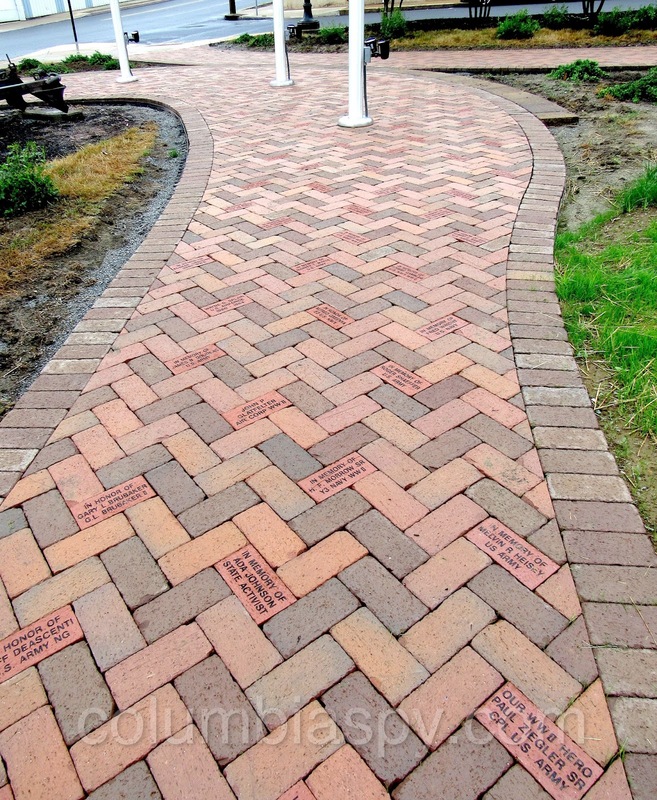 The bricks were installed by Tom Jones Landscape and Lawncare. 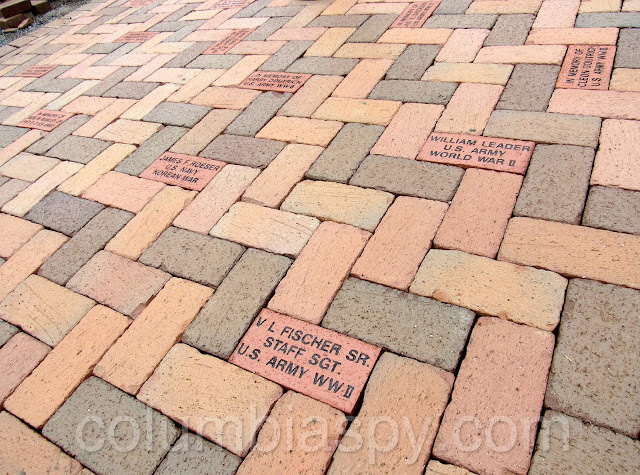 A dedication ceremony is planned for this coming Saturday, May 26, at 2 p.m. at the plaza. Bricks can still be ordered for the plaza walkway. There is a deadline of July 2 for an August install, and a deadline of October 1 for a November install. Kudos to Kevin Kraft! The bricks look great! Thanks Columbia Spy for sharing this awesome good news. Keep up the good work! 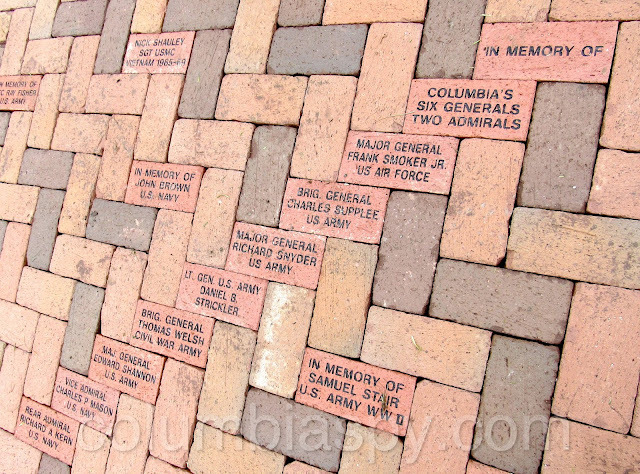 I'm very glad our little town invests in the big things that matter -- like honoring our veterans. Columbia is doing great things! Where can you order bricks? Cost? 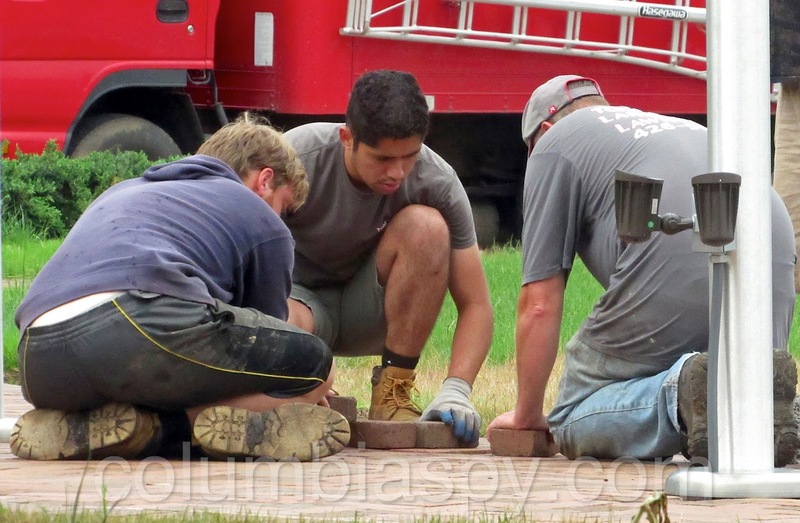 Would be nice to have a link on how to order bricks. Thanks! Questions on where to obtain order forms, etc. should be directed to Kevin Kraft at 717-684-2370. There is a deadline of July 2 for an August install, and a deadline of October 1 for a November install. Well, that was a fast "ask and you shall receive"! I know others are trying to get recognition, but this idea was conceptualized by Mr.Glatfelter and Kevin Kraft was brought in to see it to fruition. That's it, all others please step aside and out of the limelight. Amen. It is really sad to see borough officials taking credit for this when It was the work of Mr. Glatfelter with Mr. Kraft who should get the credit. Makes me sick! No. In fact commenters like you make me sick. I have yet to hear any borough official or council member take personal credit other than discussion at meetings. In fact it has been pretty low key. Don't spoil a great thing and a great day with your continued negativity. Columbia really is a Gem. What a wonderful way to recognize those who served this great Country.